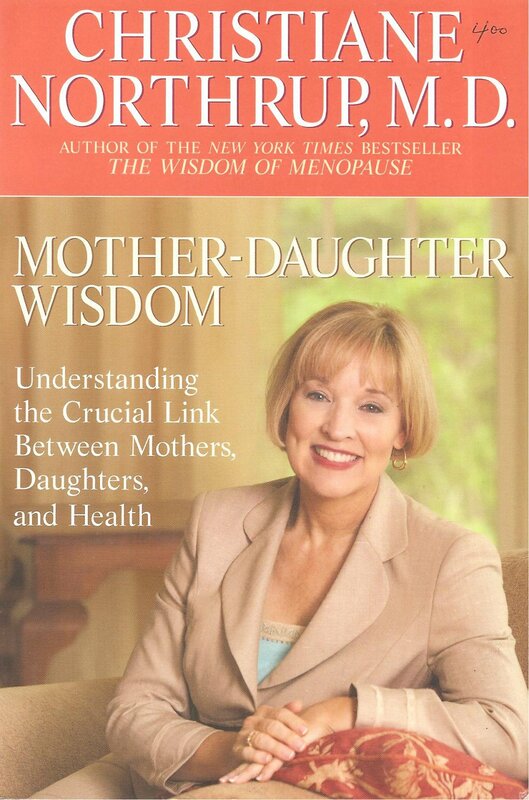 With such groundbreaking bestsellers as 'Women's Bodies,' 'Women's Wisdom,' and 'The Wisdom Of Menopause,' Dr. Christiane Northrup is one of today's most visionary medical experts. Now she presents a revolutionary approach to women's health that will benefit every woman -- for every woman is a daughter. Starting even before birth, the mother-daughter relationship directly impacts our physical health and emotional well-being for our entire lives. Now Dr. Northrup shows how we can use our understanding of this primal bond to repair the past, achieve optimal health, and create a positive legacy for the next generation. 'Mother-Daughter Wisdom' presents information at the leading edge of today's medicine and psychology, brought to life in revealing case histories and personal stories. -- How we can improve our genetic health legacy. -- How to change our deep-seated behaviors involving food. -- Wisdom on fertility issues, including pre-conception dos and don'ts. -- The truth about immunization and the roots of disease. -- The seven essential keys to well-being -- including financial literacy. -- How to foster healthy sexuality and future "love-maps" in our daughters. Above all, this life-changing book will help you improve your adults relationship with your mother -- and, if you have a daughter, be the mother you always wanted to be. Click LOGIN For Great Benefits! Save On Almost EVERY Order From OEW! Extra Entries In All Our Upcoming Giveaways! Like Our Facebook Page To WIN; See Our Events & Much More!